East Dulwich, Camberwell, Peckham, Forest Hill – Happy to travel further afield in London and beyond. 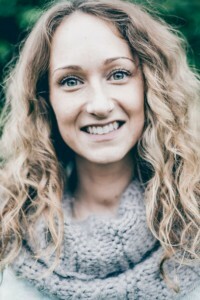 I’m a Pregnancy and Postnatal Yoga Teacher, Birth and Postnatal Doula and mum of a 1-year-old based in South London. I am passionate about supporting women – from pregnancy to birth and beyond. I learned the gorgeous Closing of the Bones ceremony with Maddie and Sophie in 2016 and I am so proud to offer this service to women, whatever their stage of mothering, from just a few weeks to even a few decades. I truly believe in this powerfully healing ceremony for the emotional, spiritual and physical body after birth and would like every mother to have access to it! I prefer to offer Closing of the Bones in your home so you can be completely and totally comfortable and relaxed. The Ceremony usually lasts about 90 minutes and I bring everything I need with me. It’s a chance to be rocked, massaged, bound, soothed and celebrated from head to toe!